Established in 1986, Sterling Holidays was founded by R. Subramanian with the core motive of redefining the holiday experience for travelers. 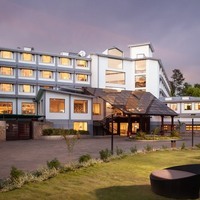 The company made its foray into the hospitality industry with a number of resorts spread across various destinations in India. Having successfully completed three decades in the industry, today Sterling is rapidly extending its existing network of resorts to many more destinations, with a constant emphasis on quality services and uncompromised fun for travelers. With leisure being its primary domain of interest, Sterling Holidays knows exactly how to please its guests with resorts designed to perfection along with excellent service. The company also perfectly understands its different customer segments and thus has well-crafted accommodation options to suit all tastes. 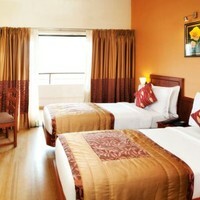 Guests can opt for Classic, Privilege, or Premium rooms. The well-executed concierge services that take into account the personal preferences of each guest perfectly compliment the beautifully designed resorts. A unique aspect of Sterling Holidays is its Vacation Ownership offer. This offers holiday goers the freedom to visit any Sterling resort in India at an affordable price as a ‘Timeshare Owner’. 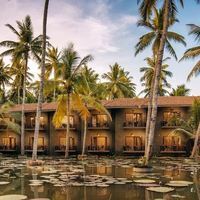 These resorts, apart from serving as the perfect destination for holiday goers and families are also suitable for corporate retreats. Therefore, if you intend to host a business gathering, then a Sterling Holidays resort is just the right venue with facilities like conference equipment, laptops, and LCD projectors to make your event a success. Besides, other events like social gatherings or weddings can also be held at the resorts with impeccable services provided by the well-trained staff. Sterling Holidays is already on the brink of a massive expansion project with the company set to open more holiday venues internationally. One of its recently launched resorts is Anaikatti, located near the pristine Siruvani River in Coimbatore. Sterling Holidays has already left its footprint on 24 destinations in the country, with approximately 27 resorts to its name. These resorts are strategically located in picturesque destinations, with every resort reflecting the natural beauty of the locality. To make the most of Sterling Holidays vacation plans for you, sign up for the Vacation Ownership Membership. 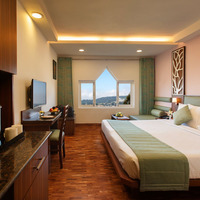 This unique program will let you enjoy holidays at Sterling resorts for a period of 25 years, all at current prices. This means that inflation rates will not dampen your holiday plans in future! Cleartrip can help you plan your trip effectively without any inconvenience. Its app also lets you make direct payments on check-in with the new pay@hotel feature. So, make Cleartrip your travel partner and holiday at the click of a button.